Cardin captured this early morning scene during one of his walks. Camps Bay Beach is nestled at the foot of the Twelve Apostles mountain range. It is approximately a mile long and forms part of the Capes Golden Coast, together with neighbouring beaches, Clifton and Llandudno. 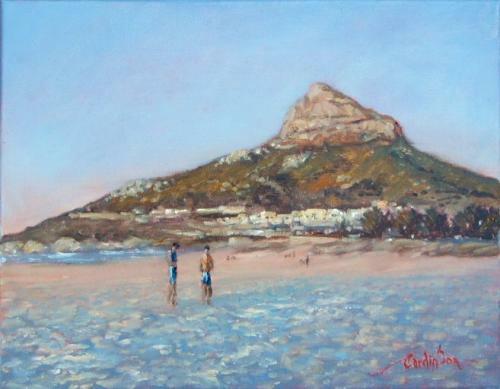 The beach is great for swimming and the mountain is popular amongst hikers.